The volcano Eyjafjallajökull erupted in April 2010 during the lifetime of MarkMD. 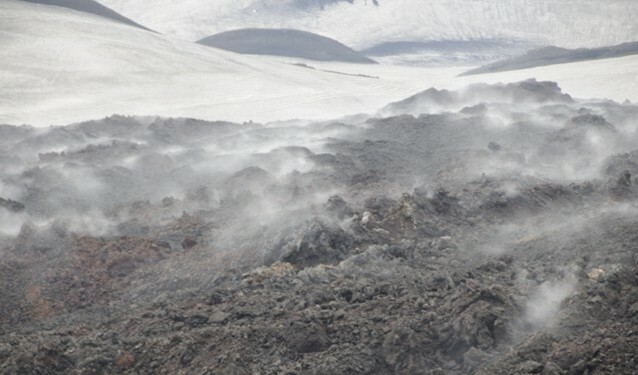 The picture was taken during a hike to the Eyjafjallajökull by one of the seconded MarkMD fellows in the summer of 2011.
is an EU funded Industry Academia Partnerships and Pathways project that focuses on genetic (mainly CNVs) and clinical markers of Parkinson’s disease (PD) and Essential Tremor (ET), two frequent neurological diseases. MARKMD brings together the unique expertise of deCODE genetics (Iceland) and University of Tübingen (Germany). On the one hand, deCODE genetics will contribute and transfer its unique genetic, epidemiologic and biostatistical expertise. The University of Tübingen, on the other hand, will contribute and transfer neuroimaging and clinical expertise in regard to PD and ET. Co-operation and transfer of knowledge is dedicated to the establishment of new tools for the detection of disease associated genetic markers and clinical markers in patients as well as healthy at-risk groups.